Marty Gabriele started working out ten years ago, just to get in shape. These days he’s hoping to put some muscle into Windsor’s reputation when he represents our City in Las Vegas on November 13th. Gabriele will be the only Windsorite at the Fitness, Athletes, Models & Entertainment (FAME) World Championships at Vegas’ Bally’s Casino, and he’s hoping to bring home a prize to put Windsor on the athletic map. “Six years ago he competed in his first show, and since has done numerous shows placing at each show and gaining momentum through the years,” said his wife Steph. 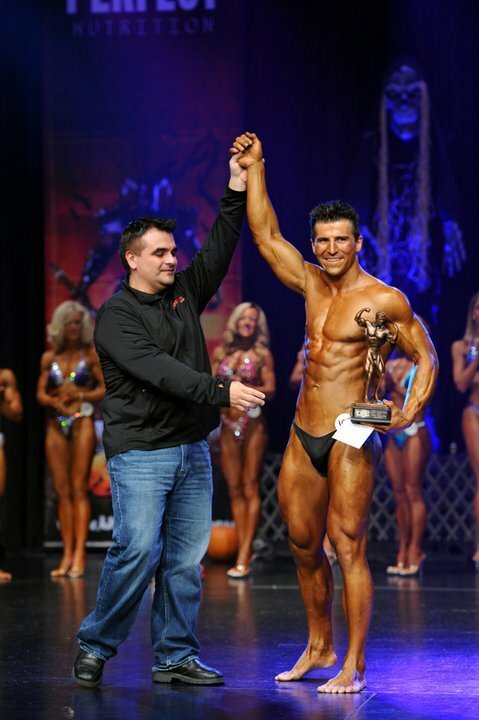 Gabriele won his first title in 2009 where he made headlines after winning the place of Ontario’s Overall Men’s Bodybuilding Champion. Best of luck to Marty Gabriele on behalf of windsoritedotca when he flys to Las Vegas this weekend to represent Windsor!